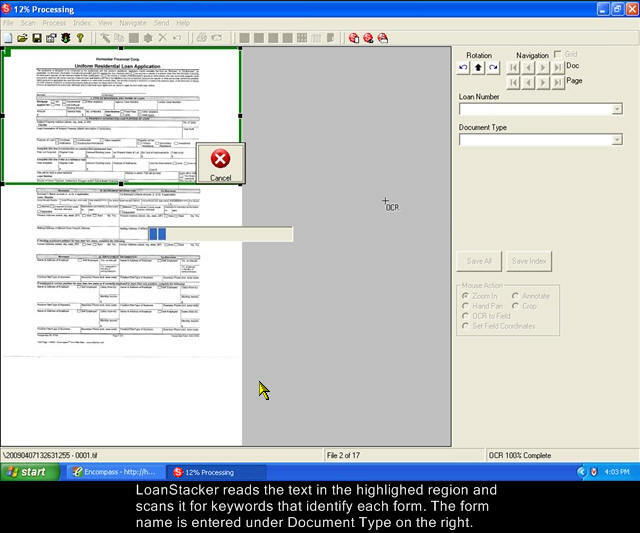 Use LoanStacker to automate the process of scanning and filing loan documents using powerful Optical Character Recognition (OCR) technology. The following lists show the large number of mortgage origination and closing documents that can be automatically recognized and classified by LoanStacker. Document titles can be modified and custom documents can be added to the database. To make documents easier to find, categories like Assets, Credit, Disclosures, etc. can be assigned as well. Our extensive research and testing has allowed us to develop a standard naming scheme for mortgage documents. Enforcing a naming standard is necessary to enable tracking of documents through a mortgage processing workflow. Need a Custom Quote for your Mortgage Project?